"Hair loss is a real issue. 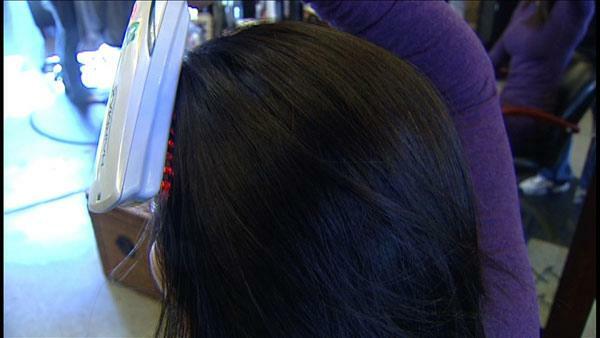 About 35-million women in America suffer from some sort of hair loss," says salon owner Rachel Gower. Whether it's from life changes, stress, an illness or genetics, it obviously affects men as well. "With women it's more emotional. With men I think there's a little bit of pride involved. But in either case, it's still hard to face," says salon owner Tamika Fletcher. So, Rachel and Tamika offer these possible means to rejuvenate hair growth. "Be proactive as soon as you notice the hair fall out," Tamika says. "Your hair is a blueprint to what could be happening internally, so hair loss is always something to pay attention to."